To create a network of communities that will utilize the best principles for social, economic and environmental viability – benefitting the community member´s individual personal and spiritual development in total harmony with the natural environment (Mother Earth, Gaia). 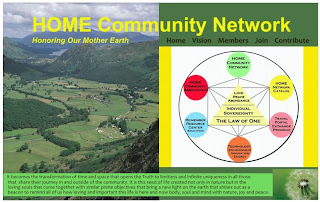 The foundation philosophy for establishing our HOME Communities (hereafter HOME) is on the realization and manifestation of Peace and Abundance for all of the members of the community, and for re-establishing our most critical connections to the natural environment. By creating these “seeds” of harmonious, sustainable communities we will provide success models for other communities and peoples interested in creating better living environments. - We are all in this together. Key principles for these communities are Reverence for Life (as espoused by Albert Schweitzer), collaboration, creativity (replacing the competitive mind – Wallace D. Wattles) and the support of individual spiritual and personal development. For all intents and purposes, our HOME will be and entirely new model for communities as the members of the community recognize that the entire community thrives as the individual members are afforded freedom to discover their own creative and spiritual potentials. 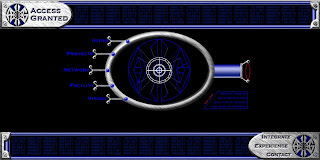 To this end, the aim of the community will be to provide all the members with food, energy, housing and the basic necessities of life with the minimum of effort, as to allow for more energies to be devoted to discovering their own greatest potentials as sovereign beings, and then to contribute those capabilities for their own advancement and those of the community, and ultimately to the rest of the world. - To begin to establish communities in locations around the world where people are coming together and can get access to property, resources and facilities to begin building “their” HOME. Each HOME Community will be autonomous in their own development and growth. - Initially a Phase I goal will be to sustain 20 to 50 people in "pilot" communities. The practical side to this is to keep it small to prove that the concepts are realistic, and sustainable. While this model is tested and proven, we will continue to refine and document, in detail, the processes and experiences of the member communities as to share this model in other places. It is understood that these concepts serve as guiding principles and that each community must adapt and adjust the approach as needed to assure their success. The following points delve further into the ideas of like minded people coming together who are serious in the creating our new HOME. It is paramount that this document be seen as a “living document”, establishing a solid foundation upon which to establish our community, while being open to make necessary adjustments. All life adapts, and we must be flexible in this process, especially in the early stages where we are learning what will and will not work for the good of the larger HOME Community Network, individual communities, and the earth. This document in no way establishes any form of authority - its aim, to provide a set of principles by which to guide this process to assure success. · Everyone in the community(s) accepts that in order for this to be the greatest success, each person will contribute their unique talents, efforts and abilities to have everything run smoothly. And that, as a team, we will gladly work together to accomplish all necessary tasks, from the simple to the complex. · A HOME Service Committee, (tentative name) and sub-committees shall be created to represent and Serve the larger community(s) in all areas that keep the community running, a round table model will likely be used and will include children as well as elders. For our HOME Community there is but ONE ultimate authority - as will be expressed in our group conscience. · The HOME Community Network will be comprised of people who are not afraid of hard work, nor of a different life from what they have known previously - people who are open to new opportunities, adventures and challenges. These individuals are ready to challenge their comfort zone, such as is required for a change in ways or lifestyle. · Balance is to be a main focus of HOME. Service will be used in all areas including discipline to promote the idea of cooperation and collaboration in all areas, actions speak louder than words. 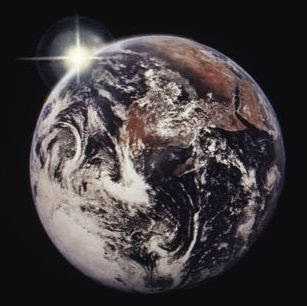 · Independence from governments, basing our community of natural and common law, the idea of sovereignty since this is our divine right as we are living beings on this world. · The HOME Community Network recognizes that money can present challenges. But we acknowledge that money is really also a form of energy, and a tool. Viable economic strategies will be a necessary focus of attention to create a workable model in HOME Communities. Initial ideas will be to work on a barter system where everyone is equal in their contribution. The aim will be to create a harmonious “living organism” much like we see in nature and the cosmos. Money will be necessary to trade with existing economies, and initially to build and repair the areas as needed, as well as allowing members to be able to travel as well as keep their current homes. However, the communities will likely consider creating a new monetary exchange system within the community (e.g. Transition Communities, etc.). · HOME will flow around the “old models” for living (like water around a stone), to set HOME as a demonstration that human-beings can live in harmony. Our aim will be to demonstrate that there is a better way to live with each other and the earth, for life here as we know it. of our community(s) for success and continued advancement on all levels. Within the collective membership are vast talents, skills, ideas and potential and we must always be open to these as they are deemed viable by the greater HOME community(s). We will establish the ways that these ideas are developed and implemented for the larger community, and members are always encouraged to expand themselves and Share what they have to offer. o Mandela permaculture structure farms in Brazil. o Sekem, the internationally acclaimed self-sustaining farm complex in Belbeis, in Egypt, and to learn from the local indigenous peoples from area how they survived without such influences overtaking their culture. o Utility Research Gardens in Texas: Developing organic food models, and Community Supported Agriculture (CSA). Each community should improve the environment and the larger regional and local economy regardless of where they are established. We imagine establishing the communities with some proximity to cities but far enough away to avoid challenges often associated with traditional cities developed under old-world community development models. Since our communities will be established in natural areas outside of existing urban centers, we will utilize the ideas, concepts and principles that have been researched by our team, while also staying open to new models for comprehensive rural economic development. These strategies will be based upon the ideas of economic and social diversification and empowerment of people. We are what we eat. Developing “good” food is also essential. The aim will be to grow only organic food and to create a healthy and abundant food system for all people. Protecting the natural environment is paramount! All methods available to prevent any contamination, and alleviate existing problems, of the natural environment will be utilized. Deep Ecology, and Reverence for Life are foundational principles which guide us. Only clean water and air to Share, together with current society and future generations, this is our commitment! Many of us, and our brothers and sisters have, and continue to, experience living challenges in various forms. It is our intent to eliminate all lack and suffering in the world, thus our aim is to create safe havens for those who need it, a sanctuary for all to grow and heal old wounds that gives back their personal sovereignty, and their awakening to the truth of who and what they are. · Phase II Our initial aim will be to expand the community, once proven successful to sustain 500-2000 people. · The Vision is to “plant seeds” of communities, much like the majority of the natural world demonstrates to us – similar to the strategy of a dandelion, one of the most successful plants in the world. 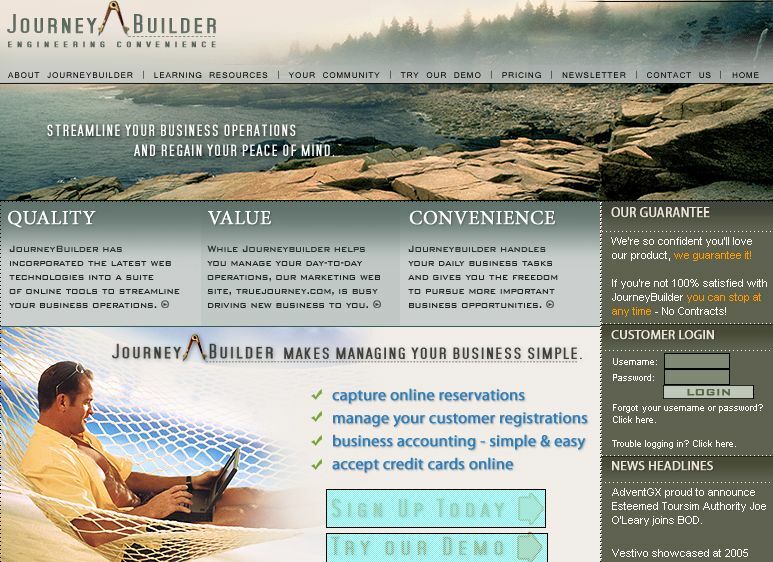 · “Building Bridges” is a theme that we wholeheartedly support. HOME is not about creating “islands” where we live in paradise, and the rest of the world is left behind. We understand that everything is connected, and that it is our responsibility to build bridges to the new for all people who are ready for a new life. Ideas of great ones who support these ideas are John Muir “When we try to pick out anything by itself, we find it hitched to everything else in the universe.” How we create, is as Einstein suggested: “Imagination is more important than knowledge. Knowledge is limited. Imagination encircles the world”. · Initial plans for a Phase II A possible component of the HOME Community Network has already been written by Andy Skadberg, PhD entitled Hybridized Community Development Cooperative (HCDC) and provides and excellent starting point for an initial Vision. · Phase III will be developed from the HOME Community Network, creating a specific Team to develop these plans in detail, as for the individual communities, and for the larger Global HOME Community Network. This Mandala of harmony will Encircle the World! One of the strengths of our community at the outset is new healing modalities. In order to create a connection to other people living in more “traditional” ways we can offer “Open healing”, using ancient Medicine and Philosophies that focus on the whole being, not just body or symptoms. Then we can combine these approaches with modern knowledge, to help facilitate in creating a mind, body, spirit health and healing template for the society to maintain strength and virility. Our team has gathered “success stories” and will utilize these workable multi-cultured environments in our HOME communities based on total agreement of the community. Technology, both computer and other, are fabulous tools that have been made available to us for our use from the Source, and the creative Spirit of humanity. Thus, we will find the best tools to accomplish our objectives and utilize them for the advancement of our communities, and the protection of the natural environment. All living beings and systems grow. We will dedicate our energies to finding and implementing new models for rural development, education (remembering), agriculture, entrepreneurship, tourism, etc., we deem it beneficial for the continued benefit of our members, communities, humanity as a whole, and the earth. HOME Community shall be based on love, continually liberating and expanding lives through the focus to serve humanity and the Mother earth. Finding our own rights of passage through restoring and protecting the earth, while being an example to others in demonstrating through our community, one that does not hinder life, yet expands life in the creative production of abundance and health, designing and healing with nature. Thus we are returning, to live, work and Be in balance with the heart and mind. It becomes the transformation of our concepts time and space that opens the Truth to limitless and infinite uniqueness in all those that share their journey in and outside of the community to create a better living for all. It is this seed of life that is created not only in nature but in the loving souls that come together with similar objectives that bring a new light on the earth. This light will shine out as a beacon to remind all of us how loving and important this life is here and now body, soul and mind with nature, joy and peace. The HOME Community Network will create the first comprehensive resource providing people access to information about sustainable and new communities around the world. Building from our HOME (Honoring Our Mother Earth) Communities, this system will provide members of HOME and others access to a global network. 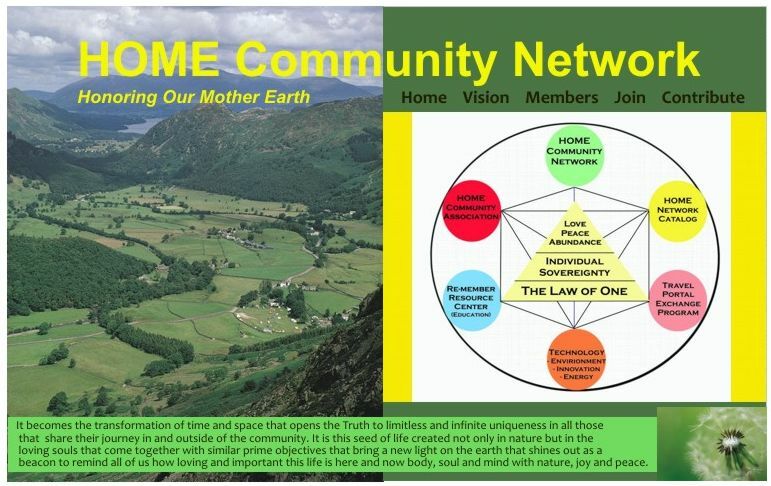 The HOME Community Network will create many benefits to HOME Communities, but most importantly to extend connections to all people´s who are imagining and working to create better living for all people and for re-establishing our true relationship to Mother Earth, the Spirit called Gaia. The HOME Community network initially will provide access to six areas – which comprise the starting functions of a network to support the dissemination of information about alternative community development strategies. This document introduces information from nearly 30 years of work in this area. It is organized in a way that can give a fairly comprehensive overview of the opportunity, but can be overwhelming to people just being introduced to the topic. All of the components have extensive documentation and support, but I am providing expanded discussion on only two topics – 1) Showcasing Stars - Communities, Individuals and Projects, and 2) How to Create and Support an Association with Online Services. This is only a very simple “concept” – it is not pretty – it only serves as a place holder. Below are Projects and Example Web sites – most are conceptual mock-ups. 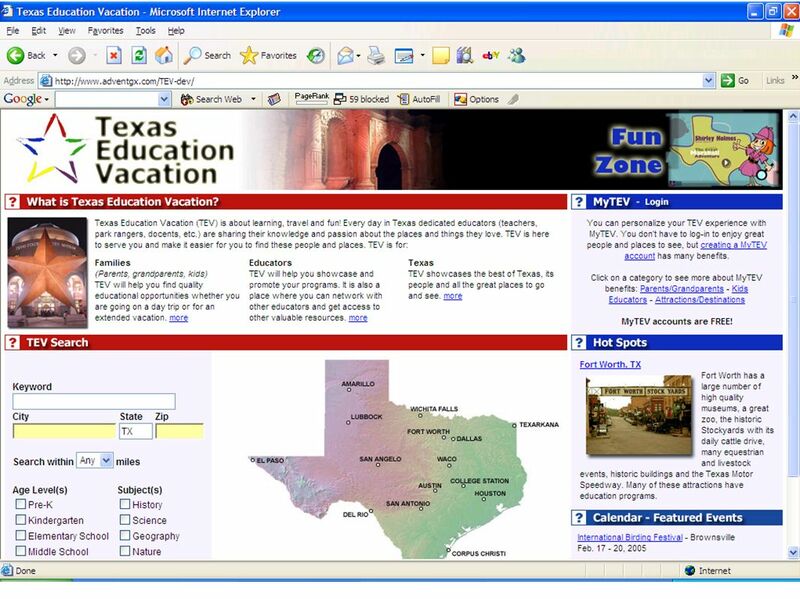 The HOME Community Network main “portal” can be developed from a model that one of our team developed in Texas in 2004. 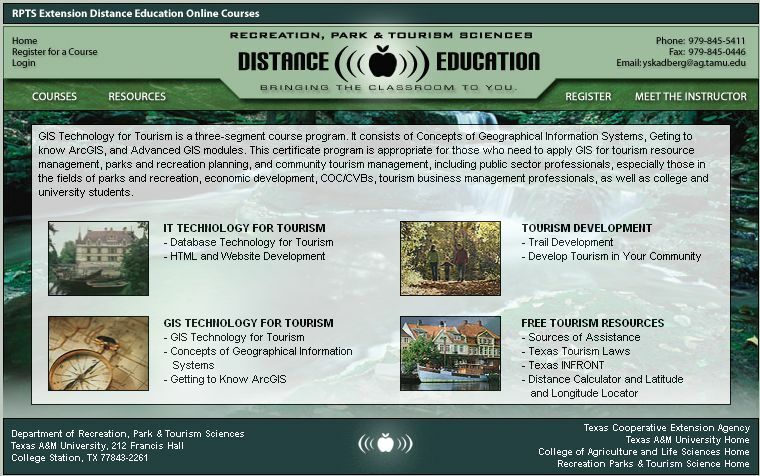 All that is necessary is to adapt the approach used for the Texas Education Vacation online resource to a network of new and sustainable communities that are developing around the world. 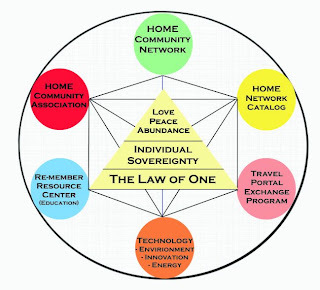 The above Star Tetrahedron outlines components that can be developed to support the community. The HOME Community Catalog will be a way to generate financial resources for further development of our HOME Communities Vision. By our Membership purchasing and selling through our Catalog, we will begin to build the mechanisms to extend what we offer to the rest of the world. Many of our members already have products and Services to offer, plus this can also extend to other products and services offered by others. Also, with effective marketing, the catalog could be a recognized Resource in the areas of Sustainable Communities around the globe. People love to travel. Members of our HOME communities will want to travel between communities. Plus, we will want to attract other like-minded people to our communities. Travel is the best “bridge builder” for Peace and understanding. Also, an Exchange Program will create a way for communities to attract volunteers, experts and potential residents. 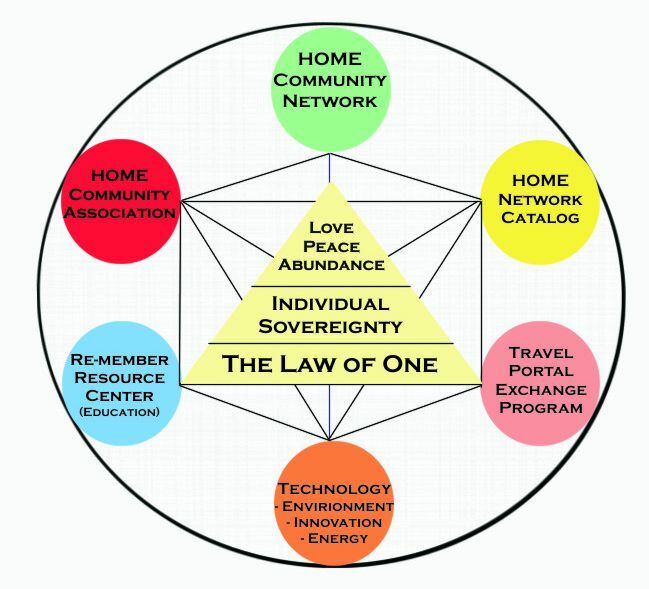 Many opportunities to make the network “real” and connect people person to person, via experience and the foundation of HOME in the Spirit of Service to each other and Gaia. This program will be key to creating Sharing of ideas, talents and Experiences. Technologies are tools that have been created to help us communicate, collaborate and create the world of our dreams and imaginations. Using these tools for their ultimate purpose, for good, can bring unparalleled success. Technology tools are laying at our feet to help us deal with all of our challenges whether they are environmental, social or economic. It has been said that 100% of human potential will be realized through proper education. Socrates believed we didn´t “learn” we “remembered” – this idea is consistent with the Law of One. The HOME Network will be successful if we help people remember the Truth of who and what they are, and why we came here to this beautiful world we call HOME. To this end, providing practical education and information will be key to our success. Exciting possibilities exist for new technologies to reach people in new ways, and to give the tools to create the lives that they really want to. Creating the next “Univ. 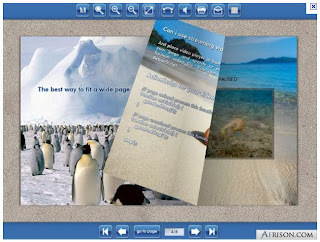 of Phoenix Online” based on practical and useful information, and by using gaming environments for engaged and entertaining experiences will transform people´s lives, especially younger audiences. A primary aim of the HOME Network will be to support our member communities, but also to extend our network out to bring together the total universe of new development communities. By creating an association to serve these places, and by adding-value to the membership, we will accelerate the cause of global transformation to one of Peace and Harmony. Very few people are aware of the real story of how Sam Walton catalyzed Wal-Mart. It was his realization that rural places are under-served. He recognized the need to extend products and services to rural places. This need and opportunity still exists but the dynamics and the services that are needed have changed. More importantly rural places and urban centers exist in a dynamic relationship, each dependent on the other. But this linkage is over-looked. This is where the Starseed Community and HOME Community´s opportunities can be realized. Traditionally urban and rural are viewed as two separate entities competing for resources. In actuality it is a whole system. Rural economies are dependent on an influx of dollars from the city. Cities are dependent on rural places for food, water, fiber, natural resource protection and for leisure and recreational respites. In other words the two are inextricably linked. The challenge for rural places is real. Geography and supplying various services to rural places has been a constant challenge because services need to be extended across distances, without the “critical mass” of customers which will pay for the services. Cities inherently have better access to services, but one could argue that the quality of life is not necessarily better. Much could be written about this situation. The key issue is to introduce the “opportunity space” for establishing services in rural places, and to identify how urban centers and rural places are dependent on each other for ultimate survival. This summary suggests first recognizing the interdependencies and secondly to build a bridge for enhancing the opportunities that are presented to support this important dynamic relationship. That bridge can be built via the Internet. Internet, it can be viable economically to do so. There are cases of businesses that realized the rural opportunity such as Wal-Mart and Dollar General. Both became highly profitable. However, these examples do little justice to the opportunity that the HOME Community Network can realize by extending services, education and empowerment tools and resources to support the local citizenry of rural communities to be grown from the community itself. The overall potential for success in building this bridge, in combination with the “systems approach” for managing negative impacts more effectively, is tremendous and not just economically, but more importantly for the quality of life. However, our new opportunity is even greater with the advent of the Internet. In fact, we often point out that our new success will not be based on consumerism, selling people a bunch of stuff, but on providing resources to empower people through “education” and the various “empowerment tools” to empower people to realize the inherent potentials available in all places 1) people, 2) the natural resource endowment, and 3) the history and culture of the place. A basic fact could be stated as we look at the rural-urban question: not every one can live in the city! Nor would we want them to. One need only look at history to see what happens when too many people live in close proximity. However, as one looks at economic pressures on the average rural citizen there appears to be significant challenges to be able to “stay on the land”, so to speak. And pressures continue to grow on urban centers as mass exoduses occur from rural areas of people hoping to find a better life, especially in developing countries. However, there are significant deviations to these trends in places like the United States. Where people have freed themselves financially, there are growing numbers that are moving from the city to rural places, and/or buying second homes there. Some investigators are highlighting that rural places are flourishing. Needless to say as one travels in rural communities whether it is in the United States or any country, there appears to be some level of revitalization. Nonetheless, in our observations, problems are still ubiquitous, especially for the poor. These problems can especially be seen in communities that have historically been on the fringe, economically, socially or geographically (e.g. urban) or are in areas of racial diversity. Further stymieing the process of agencies or corporations extending services are that their efforts are “silo’ized”. Each entity (agency) segments their area of service and only tries to push a narrow set of ideas/programs onto their constituents – almost always utilizing a “top-down” approach. Efforts are fragmented and lack quality and substance. We could cite several cases. 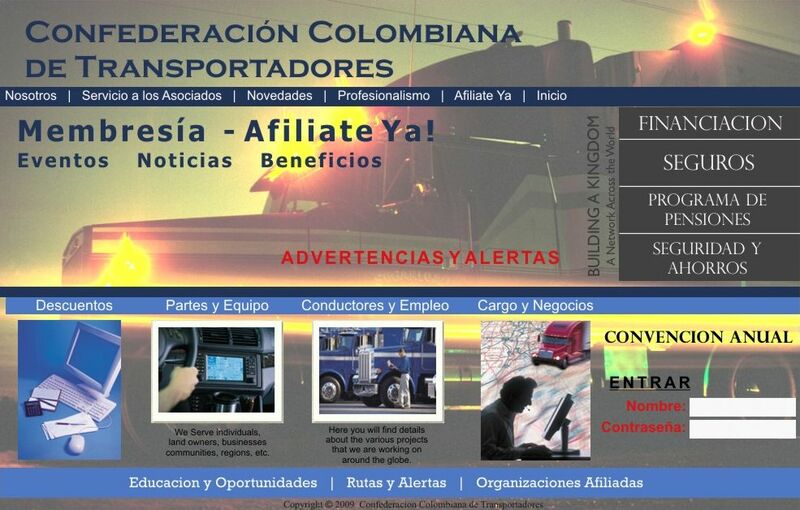 In the process they are using up precious financial resources that could be better utilized by cooperating with other agencies and programs, that not only extend services from the top down, but start to build from “grass-roots”. 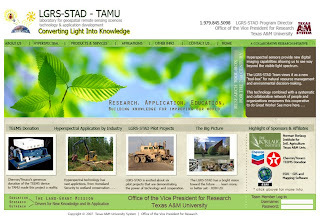 - Rural landowners can provide much needed land and natural resource management, even if the “public will” was to create agencies to provide “land management” it is highly cost prohibitive, plus the performance of these agencies for long-term “protection”, from a historical perspective, is not satisfactory. - Rural areas are necessary for the “recreation respite”, from the high paced, stressful lifestyle of cities. Nature is truly necessary for adequate rest and revitalization and large, quiet natural areas are not normally found in cities. - Plenty of solutions are available in educational institutions and agencies that can be utilized to cope with the rural economic, social and environmental conundrum. The key is to convert this content, and extend these services via the HOME Community Network. - There is a tremendous opportunity to create a new service paradigm for “Extension education” via the Internet and technology tools. - Value comes from real solutions. There are numerous “success stories” at various scales from around the globe by which general principles can be derived and then those strategies adapted to various contexts. Diversification is one of the key elements and opportunities that are waiting to be realized. The last 100 years has seen the advent of increasingly marginalized and single industry focused economies. This model is not sustainable. Every place in the world has a multiplicity of opportunities available, but these are only realized through creative, intelligent people pursuing and following their own creative spirit and through collaboration. The key to stimulating diversification is re-membering (education). Also required is leadership (not as authority, but more as wise guidance) and a revitalization of communities to support entrepreneurial development and opportunities – this can be done through business and commercialization incubation. Wal-mart made a tremendous demonstration of the potential for business in rural communities. However, the bulk of the opportunities were not realized in all communities. Those opportunities were, and even more so are, to empower people in communities to look to new business development in a variety of sectors including tourism, small industry and service. With the advent of the Internet small business can grow anywhere. Rural places are especially attractive to people who desire quiet and less stressful environments. More and more people who have had successful careers are re-locating out of the city. No matter what, everyone cannot live in the city and one of HOME Community´s greatest opportunities is to support this process of people moving out of the city back to the country. Education – Practical, Entreprenurial – ONLINE We are all familiar with the success of the University of Phoenix Online – now there are physical campuses in every major city in the U.S. But the University of Phoenix is mostly a traditional education institution. A very real and gargantuan opportunity exists to follow the U. of Phoenix, but by providing more practical and pragmatic educational content. This includes new education vehicles like gaming environments. These can relate to subjects such as tourism, entrepreneurship, hospitality, value-added agriculture, new sustainable rural property development, new “sustainable” practices in agriculture, etc. 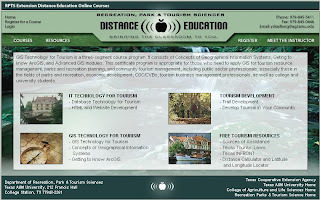 Much of the content for this new Online Experiential University already exists. All that is necessary is to adapt the content into an online format, and make available similar to the Land-grant extension model. The need for this information is tremendous in the U.S. and in international settings, but especially developing places. Another key to this opportunity is to extend these services via the Internet but go beyond what people are currently using it for – information and networking. The next stage of our utilization of these tools is to put them to work by converting the information people are seeking into forms that are usable to them, that address their needs, questions and concerns. 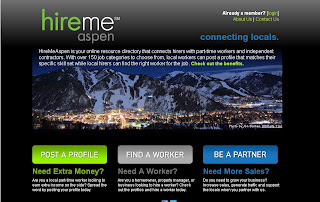 As for networking, it is time to move away from just socializing, such as Facebook, to true “collaborative networking”. This means to give practical and useful tools to people for creative networking that empowers them to grow their businesses while also making their time spent online more effective and efficient. The great part of this is that nearly all of the tools already exist, all we have to do is bring them together into a “tool-box”, custom-made to their requirements. On the other end of the spectrum we have the markets already waiting to buy – for example Location Based Services (LBS). As part of our endeavors with HOME Community Network, one way to “showcase” what is happening is to create a “Renewable Community” travel show. One of our HOME Community members, or a team, can travel the world showcasing what is happening. 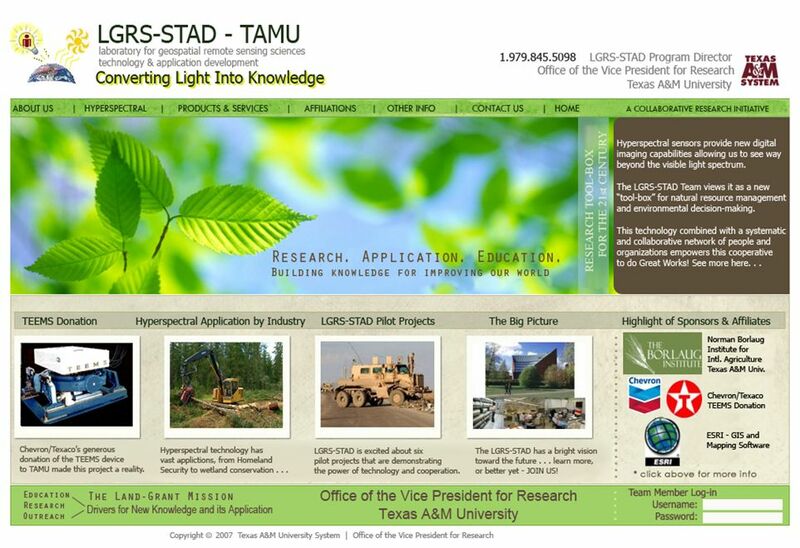 For this example, just change references to “experiential tourism” to “green”, “sustainable”, or “new communities”. Below is an outline for the concept that Dr. Skadberg has been working on that can easily be adapted to the HOME Community Network.